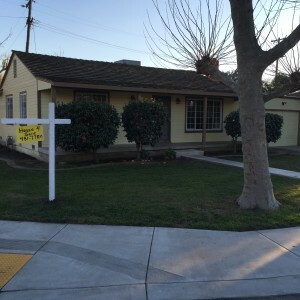 There are a lot of misconceptions surrounding the “We Buy Houses” Companies in Stockton. 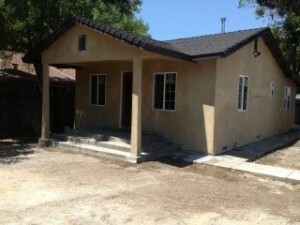 The purpose of this article is to explain how cash home buyers in Stockton work. Most of the confusion has to do with the perceived discounted prices that they pay for properties on a cash basis. 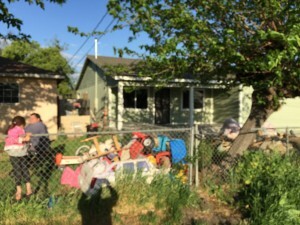 I believe many people who think that real estate investors in Stockton are looking for deep discounts, don’t really understand the market or the economics in the sense that they don’t understand and appreciate everyone’s motivations for selling. 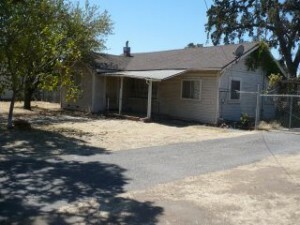 Related Post:Should I Hire A Real Estate Agent To Sell My Home In Stockton Or Sell To An Investor? 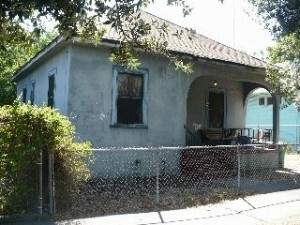 What if you inherited a house in Stockton worth between $120,000 and $225,000 with a $100,000 mortgage. Let’s also say you live locally to make things less complicated. You also find out that the estate had no money to continue to pay the mortgage and it was already 1 month in arrears. 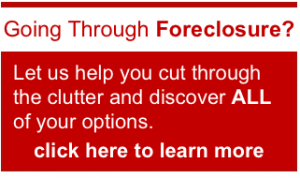 What if you also could not afford the monthly payment but you recognize that if you don’t sell the house fast you are going to lose all of the equity in foreclosure? 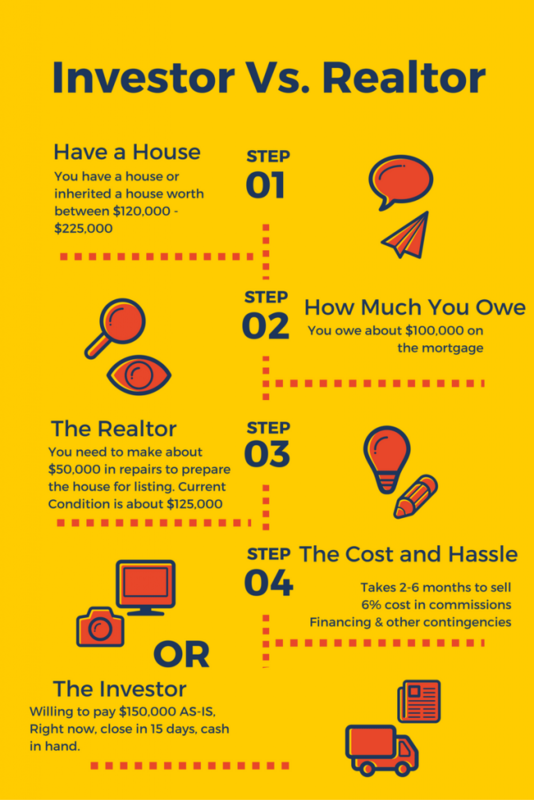 If you call a local Realtor and they explain that in order to sell the house fast you are going to need to make $50,000 in repairs and updates because the house in its current condition is worth about $125,000.00. She also says that she recommends that you list at a discount to attract buyers quickly. Keep in mind that you are also going to need to pay 6% of the sales price in commissions to the real estate agents and that it may take 3 to 6 months to sell the property and that they cannot guarantee a buyer in any time frame, let alone one that beats a foreclosure. 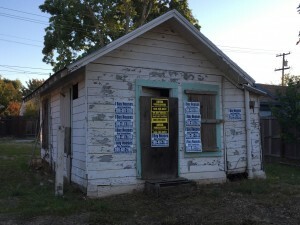 There is one more issue; you won’t be able to sell the house to a retail buyer with a financing contingency because the chances are that the house will probably not qualify due to repairs. I can almost assure you that if you sign a listing agreement with a real estate agent, (a contract for a real estate commission), the real estate agent is going to hold back the listing from ever making it to the MLS, and their first call will be to a real estate investor or cash home buyer and offer the property to them in its as-is condition for $145,000.00. This little move is known as a pocket listing and real estate agents do it all of the time to quickly dispose of discounted properties. However, you can also call a real estate investor or cash home buyer and they will offer you approximately $150,000.00 on the same house. 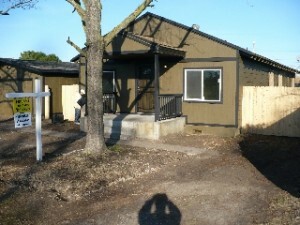 They will pay in cash, close within 15 days and they will even pay the closing cost. One final note… there will be no sales commission and you will be able to save your equity from foreclosure without any additional fees. By not hiring the real estate agent you saved over $15,000.00 in real costs that are not present with a We Buy Houses Stockton Company. It doesn’t surprise me that homeowners don’t always know how to leverage their homes or equity as an asset. Based on the virtually unlimited resources real estate agents spend to become the relevant centerpiece of all transactions. The marketing is clearly targeted to steer homeowners to real estate agents, regardless of the cost. Cash Home Buyers and real estate investors understand that all of the above need to be factored in to determine real value. 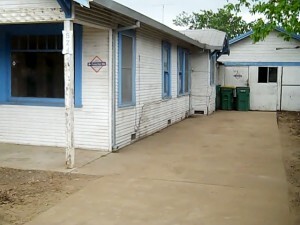 As investors, we buy the house AS-IS (the asset that exists). We can’t afford to buy what the house could be. Remember someone still needs to make an investment, do the work and take that risk, so whenever I hear that a house was sold at a discount to an investor, I realize that people don’t always understand the difference between what a property could be worth and what it’s actually worth today. For example, a house that needs roughly $30,000 in repairs with an after repair value (ARV) of $100,000, is not a $70,000 house. Nobody is going to do all of the work to just break even. Not only that, there are other costs that come into play as well. 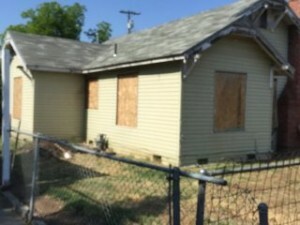 You can rest assured that in today’s competitive Stockton real estate market that the We Buy Houses Companies in Stockton are going to sharpen their pencils and make a competitive offer directly to the homeowner.